Under Construction. 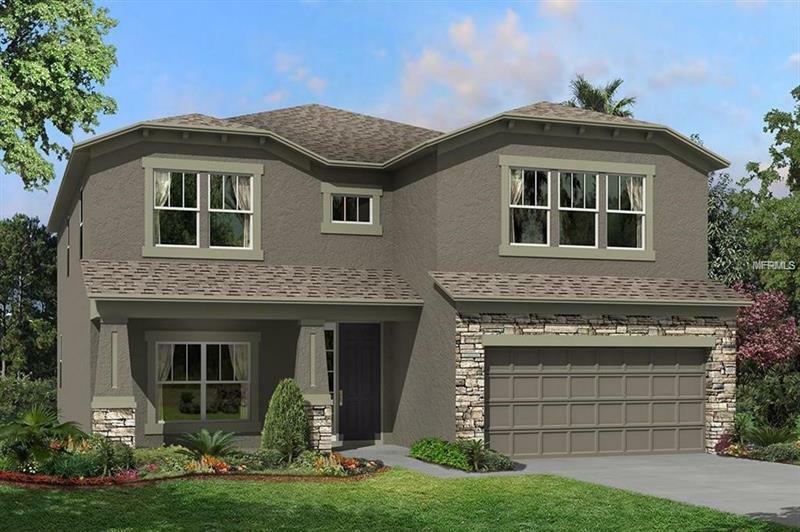 This home welcomes you with a two-car garage and an arched covered entryway. As you approach the covered entryway, you can catch a glimpse of the beautiful dining room through the double window. As you make your way into the home, through the foyer, you now get a much better view of this spacious dining room, the place you look forward to for some quality time with the family. It's your choice; take a short cut through the dining room to the kitchen or head down the hallway to the large open family room that is situated right next to the kitchen. The kitchen will put you in shock by the large island and the spacious cafe, perfect for entertaining guests in the family room and cooking up a storm for the big Sunday night family dinner. The outside beauty comes into the family room with the sliding glass doors that lead you to the lanai, there's even an easily accessible bathroom from the Lanai. Next to the bathroom you will find a bedroom great for a guest staying over for the night. Heading upstairs to the living quarters you will not just find the master bedroom but three more bedrooms. Did we mention this home was great for a large family? When you are at the top of the stairs you are greeted by the game room. You then head further down the hallway where you approach double doors to the master suite. You will find a walk-in closet, a large tub, walk-in shower, dual vanities, and an enclosed toilet. Contact us today to learn more and see this home for yourself.